The Avett Brothers are clearly some of my top faves, I am in love with like 4 of their albums from start to finish. 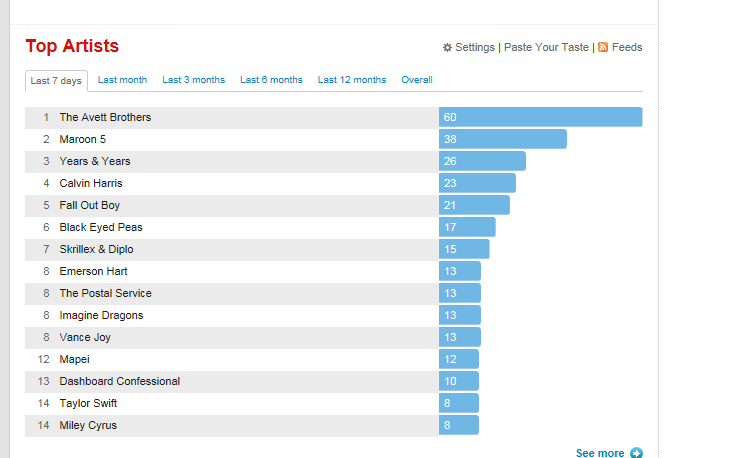 Also, of note, is the fact that Skillrex-Diplo and Justin Bieber play counts continued to rise. Off the charts from the top 15 were the debuts of DJ Snake and AlunaGeorge's "You Know You like It" and Major Lazer's "Lean On".